New enterprises setting up in one of Rotherham's dedicated business centres are being given a great chance to thrive and survive the crucial first three years. Rotherham Investment & Development Office (RiDO) is the regeneration arm of Rotherham Metropolitan Borough Council. RiDO now operate four modern business incubation centres across the borough offering support and assistance to local and international businesses. 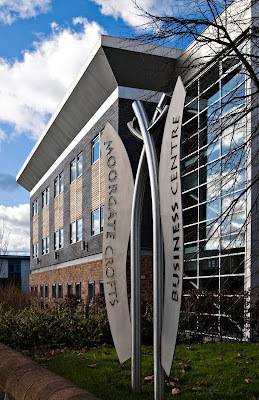 The centres at Moorgate Crofts, Templeborough, Manvers and Dinnington provide over 180 offices and workshops at easy-in/easy-out terms on a monthly licence basis. In the 13 years since Century Business Centre was opened in Manvers, RiDO has helped over 540 companies start up and the create over 1,800 jobs. Further support includes on site business adviser support, access to training, marketing, supply chain linkages, plus access to other partner organisations who can contribute to achieving the growth aspirations of your business. Space is also reserved for young entrepreneurs through the successful Rotherham Youth Enterprise programme. It is this support that means that businesses located in the centres have a three year survival rate of 85.4 per cent, well above the national average. Following a recent visit to the centres, Cllr. Dominic Beck, Cabinet Member for Business Growth and Regeneration at Rotherham Council, said: "By any standards RiDO has been an incredible success story. "Even in our current economic climate early stage companies have thrived with a three year survival rate of 85.4 per cent against a national average of 44 per cent. "Once again Rotherham is bucking the national trend and the support offered to companies has been invaluable in cementing their success. "I thoroughly enjoyed my visit, meeting and chatting with the businesses, occupants and staff there. I was impressed at both the quality of the Business Centres and the support offered to start up and small businesses. "It was great to hear that even in this tough economic climate businesses were healthy and on a growth path. "I have nothing but praise for the fantastic folk who are making the centre a haven for local growth and investment. It is essential that Rotherham encourages new business and I cannot praise the work that is taking place here too highly."